It’s the end of the month, and you’re going through your bills. You’ve paid your rent or mortgage, the credit cards, and the water and internet bills. You come at last to the electric bill, only something looks different. This month, the energy bill is through the roof. It’s higher than it’s ever been, and you can’t begin to imagine why. You think back through the last month and can’t remember having the heat cranked up, or leaving the lights on all night. So what’s going on? A few possible culprits could be causing an unusually high electric bill. Some of them are fairly harmless, but some of them the may indicate a severe problem lurking beneath the surface. If you happen to notice an anomaly such as this in your electric bill, don’t ignore it. The problem could be more serious than you think. When it’s cold outside, we want to stay comfortable inside. To ensure comfort during the winter months, nothing is as essential as a furnace — the great workhorse of domestic heating in the United States. For the furnace to work properly, however, it must be the right size. Buying the wrong furnace size for your home is an all-too-common mistake that can lead to uncomfortable temperatures and unnecessary expenses. To avoid these headaches, follow our detailed guide on how to accurately calculate the furnace size that is most suitable for your home. The size of a furnace is based on how much heat it can produce in an hour, as measured in BTUs, or British thermal units. A BTU is the energy required to heat a pound of water by one degree Fahrenheit. The higher the BTU rating a furnace has, the more warmth it can provide. Posted in Heating | Comments Off on What Size Furnace Do I Need? Are you in the market for a new air conditioning system, either as a replacement for an older, ailing AC unit or as part of your new home? It’s important to have HVAC professionals involved in the process from the very beginning, not just for the actual few hours of work required to put the system in place and hook it up. You’ll want them to take the proper measurements, so you can be sure you have the correct size of unit for your home. If the air conditioner is too small, it will not provide the cooling your home needs. If it is too large, it causes its own set of problems. What Kind of Heating System Do I Have? As a homeowner, it’s important that you know what type of heating system you have in your home. Knowing what type of heating system you have ensures you can keep your machinery properly maintained, which extends its lifetime. It also lets you potentially lower your monthly heating costs. We’ve compiled the five most common heating systems installed in homes to help you determine what kind of heating system you have. If you’re still not sure, Call Oasis today! Is a Tankless Water Heater Worth It? If you’re asking this question it’s probably because you’ve heard about the growing popularity of tankless water heaters for home installation… and your current storage tank water heater is coming to the end of its service life and you want to replace it. Is going with a tankless water heater the best next step? Or does the cost of this advanced type of water heater outweigh its usefulness? These are good questions to ask yourself before making a decision. But the best way to find answers is to work with water heating professionals. It’s important to make the right choice for your new water heater installation in Burke, VA, and our team of experts will help steer you toward the best system to replace your old one. Posted in Water Heater | Comments Off on Is a Tankless Water Heater Worth It? Which Is Better: Air Filters or Air Purifiers? If you’re asking this question, it’s almost certainly because you have concerns about the quality of the air in your house. Maybe there’s an increase in illness, or the air feels dustier and dirtier than normal. Or you may have read some of the worrying statistics about air quality in homes—most of which are true. Whatever the reason, you’re wondering if you should have an air purifier or an air filter installed. Air filters are non-powered systems that use fiber weaves to trap unwanted particles, while air purifiers are electrically-powered devices that use ionization, ultraviolet radiation, or other methods to remove pollutants. Posted in Indoor Air Quality | Comments Off on Which Is Better: Air Filters or Air Purifiers? We understand that homeowners are on the hunt for ways to save money, especially at the end of the year when finances often get a bit tight and everyone is starting to plan for the year ahead. Unfortunately, the quest to find bargains on services often ends up backfiring. For a service like the installation of a furnace to handle the heating for the rest of the winter, you never want to go to any contractor who isn’t qualified and experienced to handle the job. 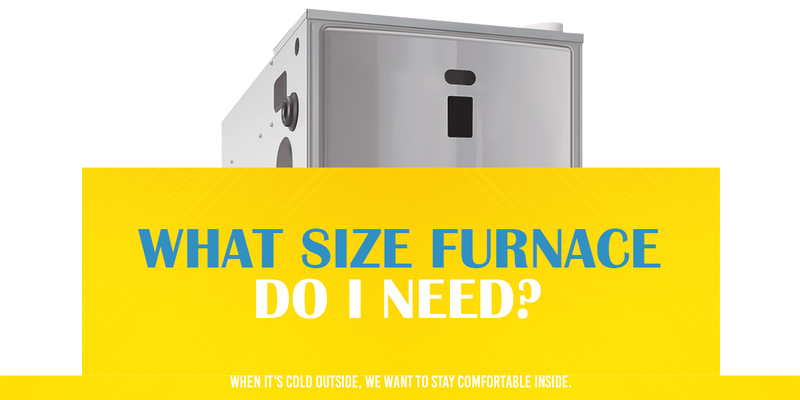 And don’t even think about taking on furnace installation as a “do-it-yourself” experiment! Do you want to avoid getting sick during the winter? Of course you do. And there a number of ways to increase your chances of staying hale and healthy through the season. One you may not have considered is to call professionals to install a special kind of air cleaner into your HVAC system: UV germicidal lights (also known as UV air purifiers). When you look at the headline of this post, you might wonder if we’ve gone a touch crazy. Temperatures are dropping and it’s already December! Why would you need to worry about preparing the air conditioning system for this kind of weather?